Hello Everyone! 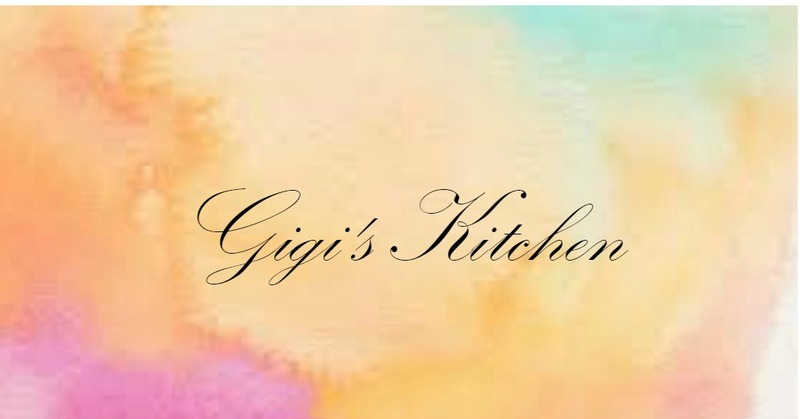 Welcome back to Gigi's Kitchen. Sorry for the small break I've been sick with a pretty nasty sinus infection over the weekend. I'm finally recovering and back to posting! Enjoy this weeks cooking tip of the week! 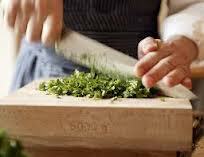 Fresh herbs like mint, parsley, chives, rosemary,basil, thyme and oregano can all be found at your local supermarket. They can also be grown and picked in your very own backyard if you have space for a garden. These plants may seem like a chore to clean, chop and preserve but a) they can really enhance the natural aroma and flavors of any dish you prepare b) they can help ward off some diseases and many are packed with all sorts of vitamins so they have real nutritional value. Dried herbs are great for when your in a pinch or don't have a lot of time. Trust me my spice cabinet is full of them but fresh herbs truly can bring out the best in your dishes so why not give it a try? If you would like to use fresh herbs but don't know where to start then here are a few of my tips for selecting the best, preparing and integrating them properly and storing them correctly. It shouldn't be too complicated as long as you pay attention to what you are putting in your basket. Try to purchase ones that aren't already cut and pre-packaged- although those can be pretty convenient they shouldn't be your first choice. You'll want to take the ones that are laid out in bins in the refrigerated section of the produce area. Make sure they don't have ice crystals on them, they should be refrigerated but not too cold- they won't taste as good if they are over- refrigerated. 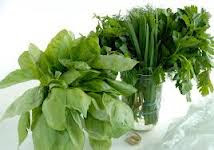 Look for fresh and leafy looking herbs- vibrant greens that look healthy and ready to eat. Any signs of wilting yellowing, age spots-black spots, holes or dried out sections usually mean it's a bad bunch. Also, check if the stems stand upright without limping or drooping which is another good sign of a healthy plant. They should have a fairly strong yet nice scent and shouldn't feel slimy to touch either. Start by cleaning the leaves with a damp paper towel or under a light stream of water from the sink. Then you have a few choices for removing them from their stem: a) pick off a leaf at a time with your fingers- the more time consuming choice depending how much you need. or b) shave off the leaves starting closer to the top with a sharp cooking knife turning as you go. Try to take off mostly leaves but if you get a little stem in there it should be fine as the stems at the top are pretty tender and can be eaten. Once you've removed them from the stem you can begin chopping them: Do so with a sharp knife putting one hand on the top of the blade and one on the handle keeping the point of the knife down on the board and just chopping through the pile moving the knife from from side to side. Another easy way is to put a handful in a glass and just cut through them with a sharp pair of kitchen sheers until they are the size you would like. Be careful on the amount you are adding to your dish- if you add too much it can overshadow the rest of the flavors but if you put in too little the dish can taste bland. A good way to achieve the proper proportions is to sprinkle in a little, tasting it and gradually adding more as needed. Also when using fresh herbs in a recipe you will want to add them towards the end of cooking so that the heat doesn't cook out their flavor. Loosely cover large herb bouquets with plastic wrap, place them in a jar filled with water and store them in a fridge. Keeping them cool will help them last a few days longer. For herbs with flat leaves, woody stems or smaller stems you can loosely and gently wrap them in a damp paper towel and seal them in a Ziploc bag, then place them in the refrigerator to keep cool. So if you got a very large bunch and only used a bit of it don't worry you can store them for a few days and use them in another dish. Another option would be to let them dry out and use them that way. Do you like my cooking tips? Come back and visit again soon for some more! Let me know what kind of herbs (dry or fresh) you prefer in the comments below! I love to hear from my readers! Feel free to follow me on twitter &; "like" my facebook page for extra inspirations and updates!